It's a fairly hidden feature that not many people seem to know about, but the Apple TV has some pretty great options for customizing its screen saver. There are a few default sources of photos you can choose from, including National Geographic (probably what you are using now), Animals, Flowers, Trailers (which shows movie posters of films on the iTunes Trailers website) and iCloud Photos (Photostream and iCloud albums). But more interesting is the option to use Flickr. That may sound odd, but the reason I say it is because when you combine it with the awesome power of IFTTT, you can create some really unique screen saver options. For example, for the last few months I've been using a combination of Flickr, IFTTT and Instagram to create an Apple TV screen saver that cycles through images that I have liked on Instagram and it is far better than seeing the same old National Geographic photos (as great as they are) over and over again. Before we dive in, you need to do a few things to get started. These steps will apply for whichever IFTTT receipe you choose from below. Create an IFTTT account if you don't already have one. You'll also want to connect the relevant services as well, depending on which screen saver you want (Instagram for example). Create a Flickr account if you don't already have one. It may be easier to create a Flickr account just for this purpose (as I have done). Choose the IFTTT recipe you want (keep reading for these), and apply it. 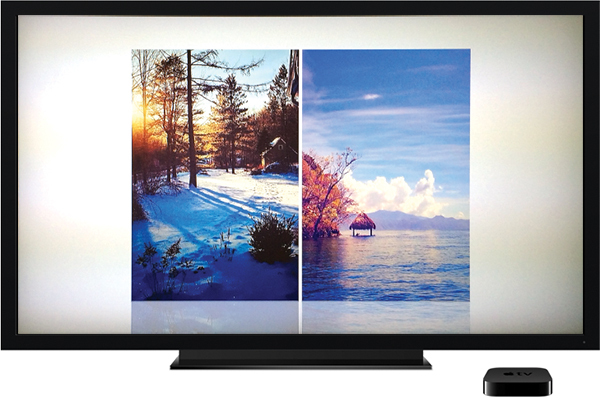 Connect your Flickr account to your Apple TV. This can be done by going to Settings -> Screen Saver -> Photos -> Flickr -> Add Flickr Contact. Then you just want to set the Apple TV to display recent photos uploaded to this Flickr account. Change the style of screen saver. There are a bunch of different ways in which the Apple TV can display the images, so play around and choose the one you like best (I quite like Reflections). That's it, and once it is set up, you can just forget about it and let IFTTT do all the work of uploading photos to Flickr and the Apple TV pulling the new images from Flickr. So without further ado, here are some suggested recipes for you. When you like a photo on Instagram, IFTTT will automatically upload it to your Flickr photostream. When you upload a photo to Instagram, IFTTT will automatically upload it to your Flickr photostream. When you upload a photo to Facebook, IFTTT will automatically upload it to your Flickr photostream. When you are tagged in a photo on Facebook, IFTTT will automatically upload it to your Flickr photostream. When you upload a new photo to tumblr, IFTTT will automatically upload it to your Flickr photostream. I've just created some of the more obvious IFTTT recipes, but there are many more permutations of recipes that use different inputs (you could use Dropbox) and even different rules (you could use Instagram photos uploaded at a particular place). If you've created your own particularly awesome recipe, be sure to let me know on Twitter or email and I'll add it to the post!